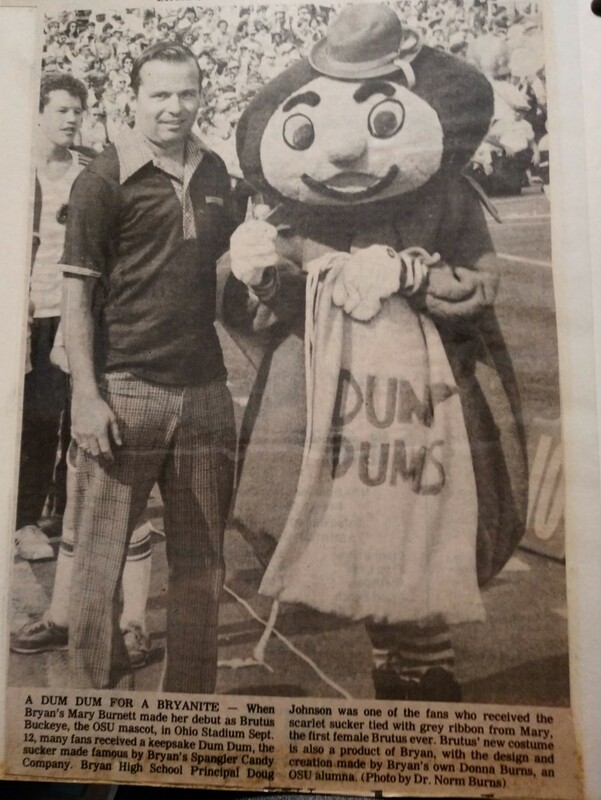 You would think that a student who had been the Bryan High School Golden Bear would want to try out for Brutus, especially one who had been an Ohio State fan long before she enrolled. 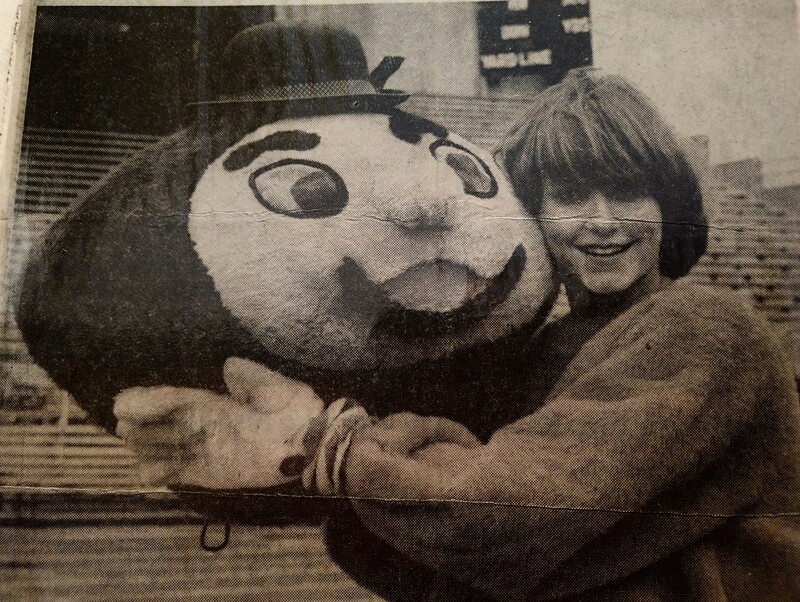 This student, Mary Burnett, did long to be Ohio State’s mascot, BUT (imagine a big dead end sign) she couldn’t see the logic in going from the mobile, crowd-engaging Surewin the Golden Bear to the 1980 version of Brutus, slowly tottering around the field with a heavy round head that required the arms to be inside, sorely limiting antics. In late April of her sophomore year in 1981, Mary couldn’t believe what she was reading in The Lantern. 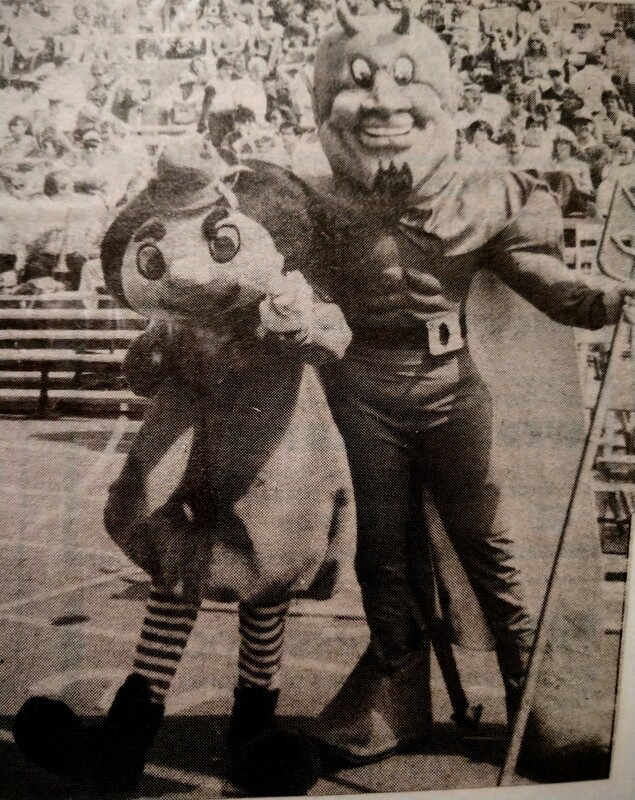 On the front page, assistant Athletic Director Richard Delaney was announcing plans for a revised outfit for Brutus that would make the mascot more mobile. A conceptual drawing showed Brutus with a smaller head on the shoulders, wearing a letter sweater and pants and carrying a megaphone. Interested students were invited to sign up for tryouts. Mary recalls about 42 others went to the meeting where they learned of the expectations for tryouts in May. They needed to dance to Hang on Sloopy, do a basketball handling routine and perform a skit. Mary spent the next month preparing. Two of her Pi Phi sorority sisters who were cheerleaders helped her with the dance routine. The basketball routine was a cinch. She had played full court women’s basketball at Bryan HS and intermural basketball at Ohio State’s Larkins Hall. For the skit, Mary created an encounter with the Michigan Wolverine. Delaney gave Mary full rein to create her own costume. 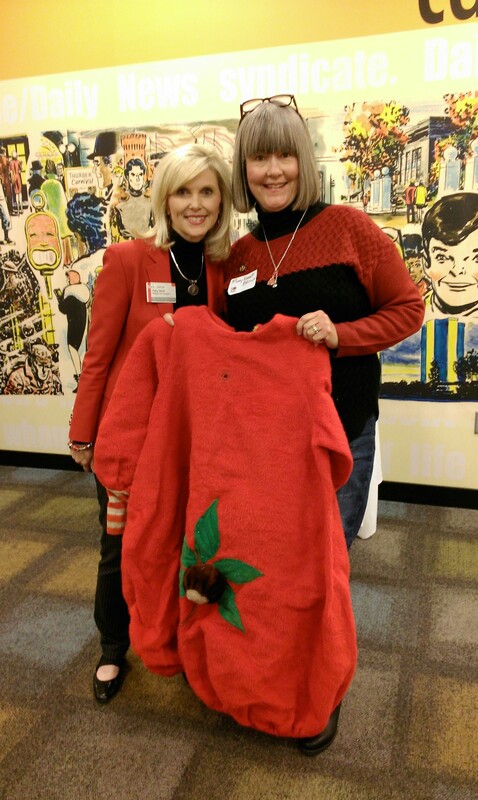 Over the summer, Mary worked with Donna Burns, a Pi Phi alumna she knew from Bryan, to create the new look for Brutus. 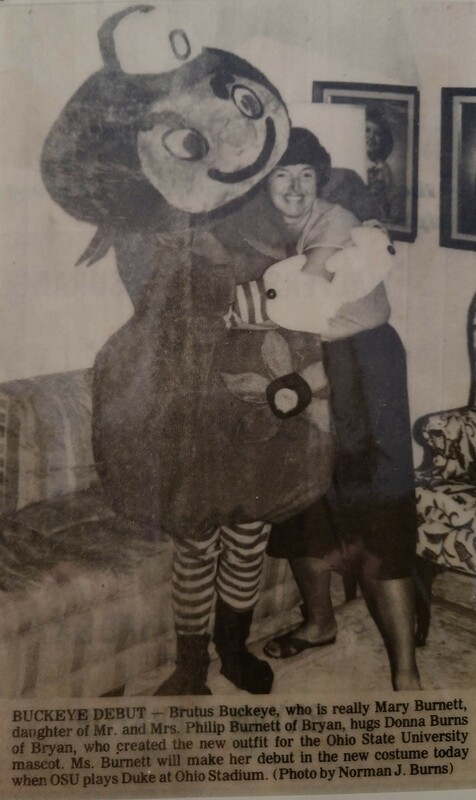 The day of the Duke game, the Columbus Citizen-Journal gave a preview of Mary in costume, a beanbag sack-like dress, big clown feet, white gloved hands, and red and white striped socks. The Brutus head, which sat on her shoulders, looked very similar to its current iteration, which retains the smile and button nose of the first fiberglass model. Brutus now had the freedom he deserved to move about the stadium, playfully interacting with fans. Mary gave out 100 Dum-Dums lollipops each game as a gift from Spangler Candy Company, based in her home town of Bryan. What didn’t change was the visibility from inside the head. Even though she could see out the mouth, Mary remembers tripping on the Band Director’s box. She was taken off the field in a golf cart from the 40-yard line. 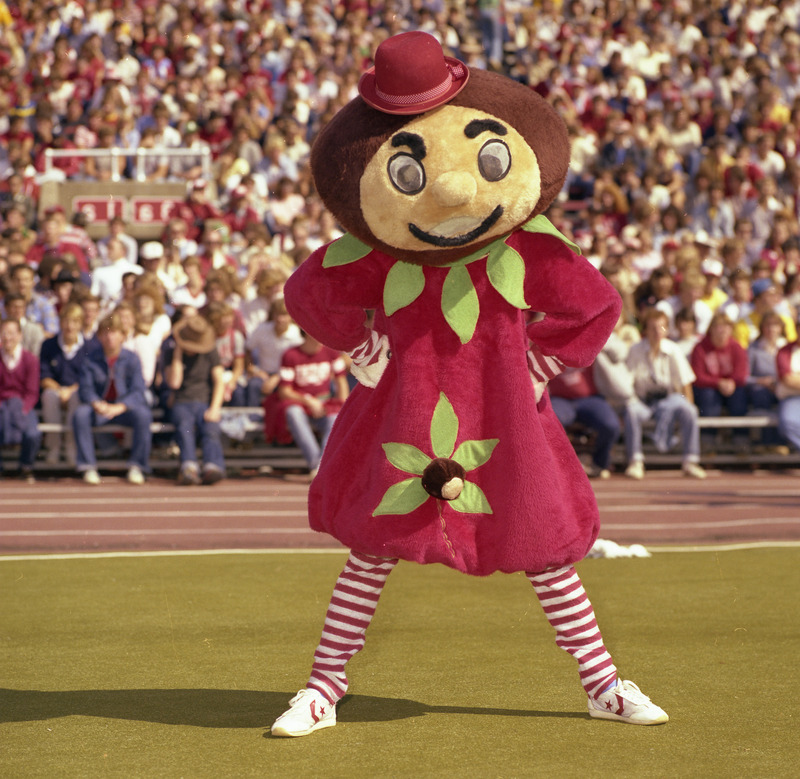 That year there was only one Brutus. Mary attended home football games, away games at Stanford, Purdue and Michigan, the Liberty Bowl in Memphis, and the women’s basketball tournament at Drake. She flew with the team on a charter jet. Mary remembers giving high 5’s to basketball great Clark Kellogg, seeing John Elway in his quarterback role at Stanford, and doing a local television cooking segment making buckeye candies. 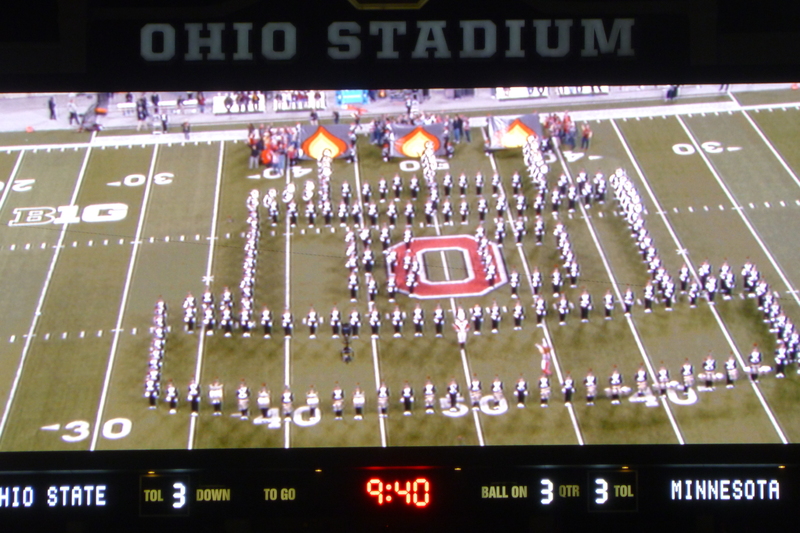 Her biggest rush came each home game when she led the band and cheerleading squad from St. John Arena to The Shoe. She was the first one through the tunnel and ran the 100-yard field with the crowd standing up and cheering. 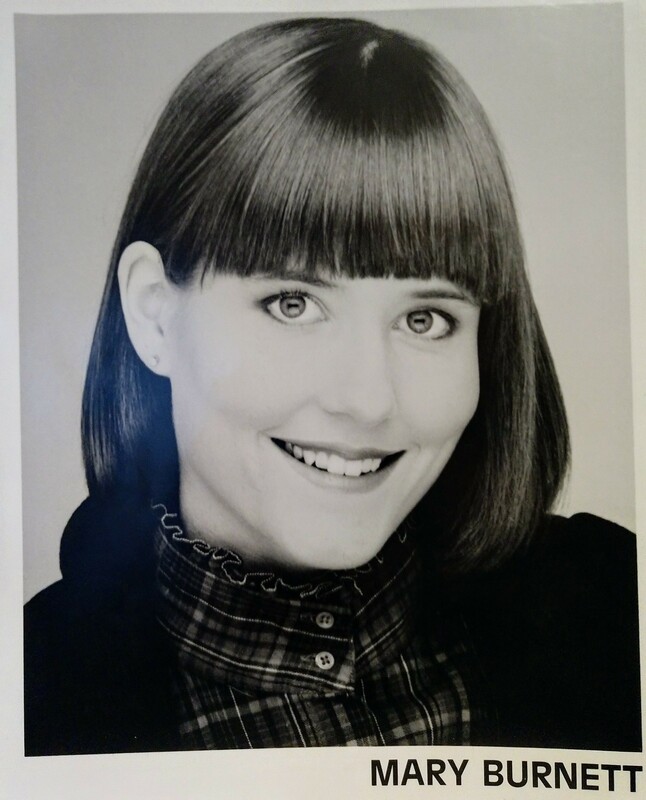 Mary’s Brutus career ended at next year’s tryouts when Eric Mayers beat her out. Brutus went on to become more male looking and Mary finished up her B.A. in Physical Education. I asked her whether she put Brutus on her resume. The answer was a firm, “Yes!” When she visited her parents in Ft. Worth, where her parents had moved during her senior year, American Airlines was hiring. They wanted Brutus, so much so that they hired her on the spot and gave her a ticket back to Columbus. 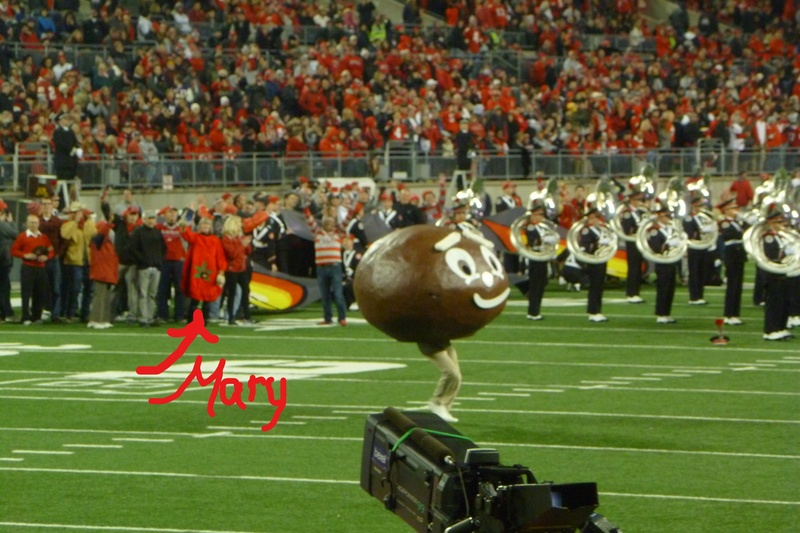 Mary wore the costume, minus the head, during the band’s half-time rendition of “Happy Birthday” to Brutus, while the former Bruti “blew out” the candles. The costume will eventually be featured in the Brutus Room at the Ohio Union. When not in the skies, Mary, the photographer and poet, posts on Instagram and Facebook. Her main focus in life is HEART. She advises, “The main thing is to Follow Your Heart. 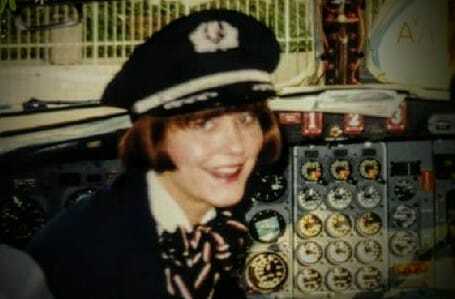 If you follow your heart, your dreams will come true.” She followed her heart when applying to American Airlines, when marrying Tom Brown, and trying out for Brutus. All in all, Mary’s motto is working out for her.